A large stoneware bowl of conical shape, the shallow, splayed sides supported on a low foot and terminating in an everted rim. 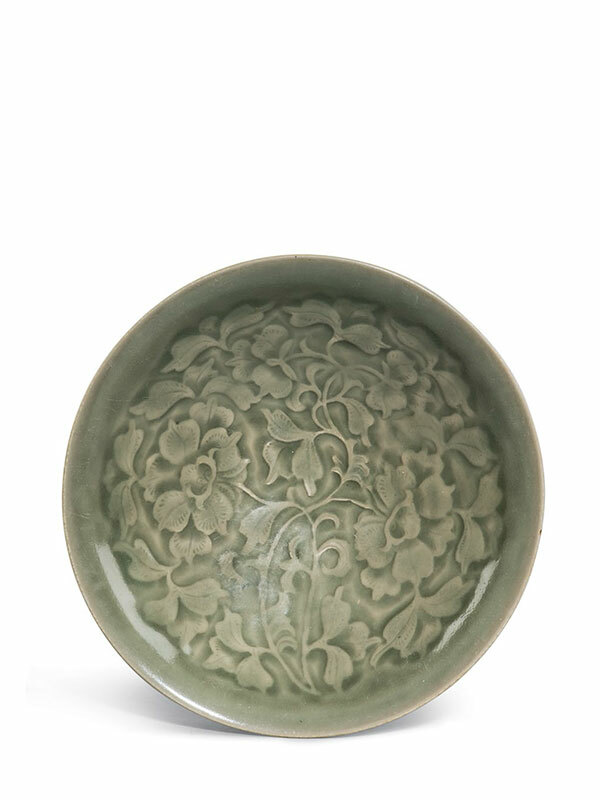 The interior of the bowl is mould-impressed with a crisp decoration of a pair of peonies, their scrolling stems entwined with each other whilst the flowers spread in different directions amidst a leafy background. The stem that is turned towards the right has a vine extending towards the top with sickle-shaped leaves. 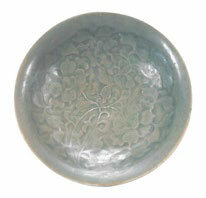 The exterior of the bowl is plain, but the sides are so thinly potted that the impression of the mould used for the interior of the bowl is partly visible on the outside. 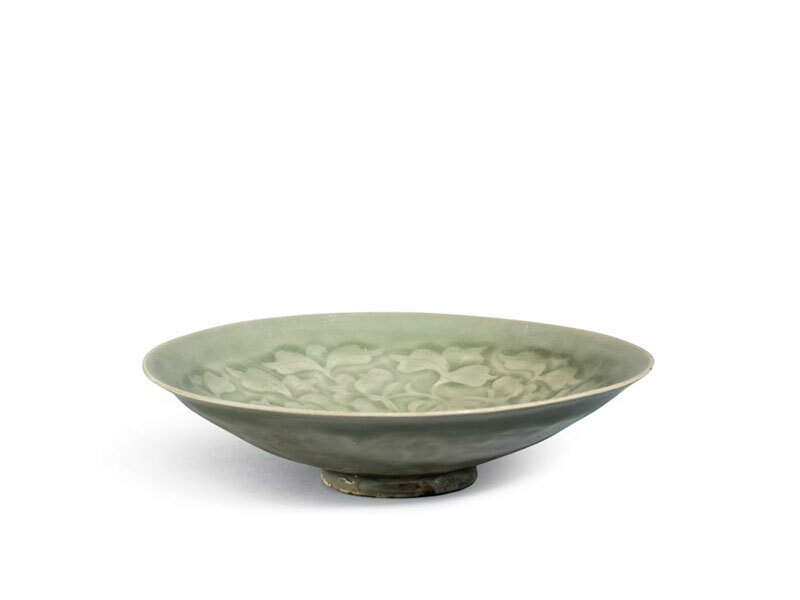 The bowl is entirely covered in a lustrous, translucent olive-green glaze, which pools to a slightly darker tint in the recesses. The underside of the foot is partly unglazed, showing the fine grey stoneware.